Château Palmer vintages interpreted by great jazz musicians. 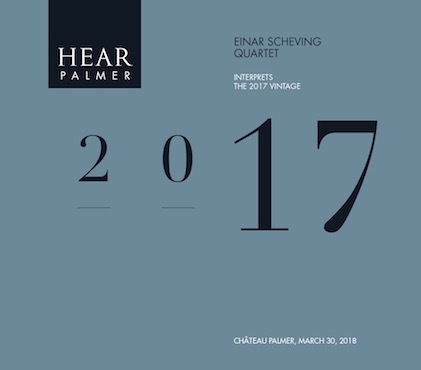 The Einar Scheving Quartet interpreted the 2017 vintage over the course of a stroll between Iceland and Château Palmer. 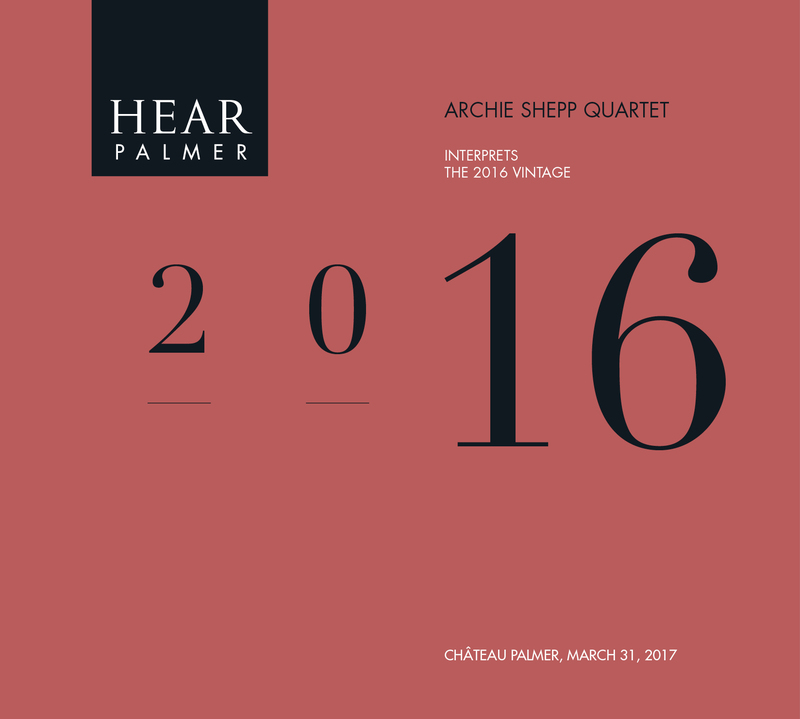 The Archie Shepp Quartet took part in a game of improvisation around the 2016 vintage. A timeless concert. 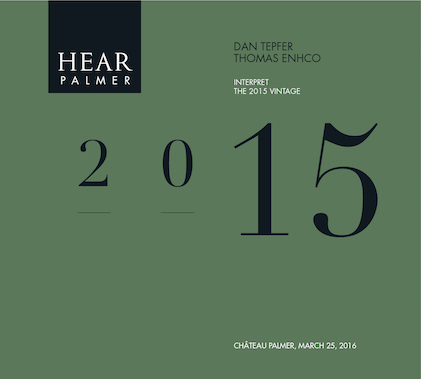 Dan Tepfer and Thomas Enhco, two young pianists, joined together as a duo for the first time in the 7th edition of Hear Palmer. 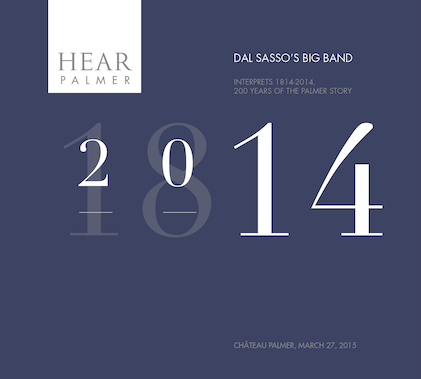 1814 - 2014… the estate's 200th anniversary celebrated with Christophe Dal Sasso and his Big Band. The Daniel Humair Quartet interprets Château Palmer’s 2013 vintage. An unprecedented ensemble for a one-off concert. The Lionel Belmondo Trio took us on a remarkable musical journey for Hear Palmer 2012, all within the estate’s barrel cellars. 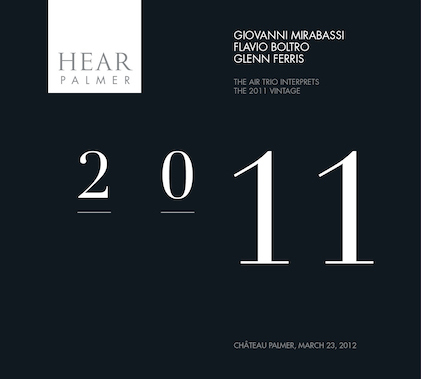 On March 23rd 2012, the trio AIR shared their interpretation of the 2011 vintage at Château Palmer. 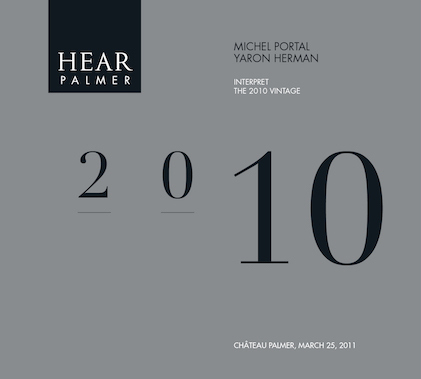 Château Palmer opened its barrel cellars up to Michel Portal and Yaron Herman for a jazz unveiling of the 2010 vintage. The inaugural edition of Hear Palmer. 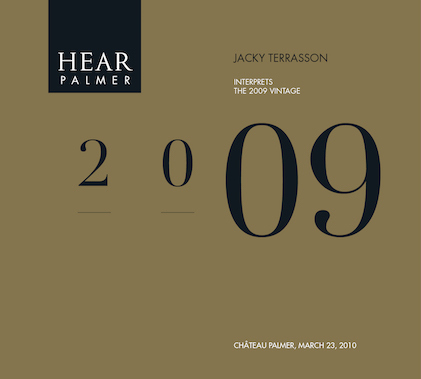 Jacky Terrasson unveiled the 2009 vintage, writing the first page in a story of passion between Château Palmer and jazz.